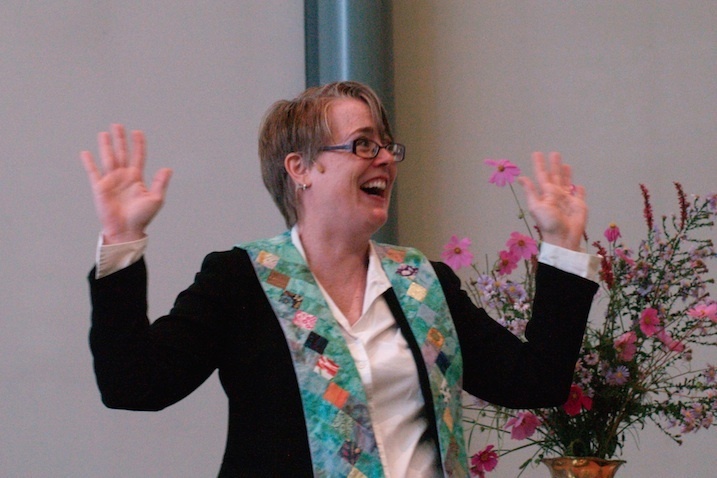 My name is Dawn Skjei Cooley and I am a Unitarian Universalist minister called to love the hell out of the world. I currently serve as Congregational Life Staff for the Southern Region of the Unitarian Universalist Association. Previously, I served as the minister of First Unitarian Church in Louisville, KY. I am the proud mother of two extraordinary kiddos and have a wonderful and supportive spouse who makes it possible for me to do all that I do. Oh, and I used to play roller derby with the Derby City Roller Girls until life got just too full to do it all. Though I grew up in the Washington, DC area, I came to Louisville most recently from the upper Midwest, where I spent the previous ten years; particularly Minneapolis, MN with an internship year in Ames/Des Moines, Iowa. Finally, for what it is worth, the views on this blog are mine and mine alone and do not represent the views of my employer. But I bet you knew that!